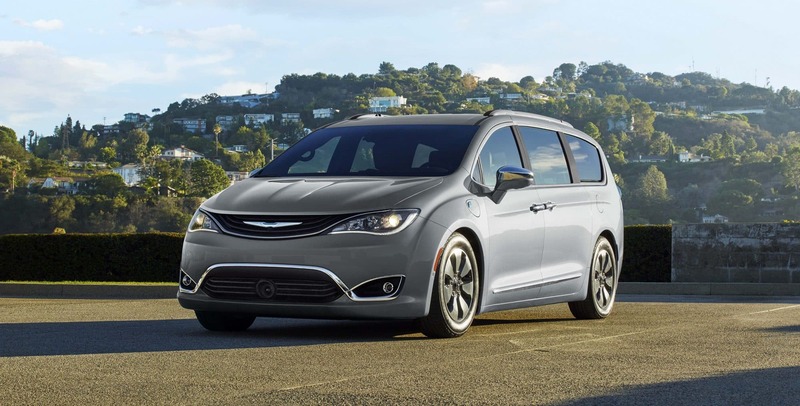 The Chrysler Pacifica is back with a new lineup! A bucket load of new features has been added to the base trim as well. Some of these new features would include an updated Uconnect infotainment system, rear parking sensors, blind-spot monitoring, and improved technology accessibility. Additional features have been made more accessible through smaller, cheaper packages, and optional standalones. 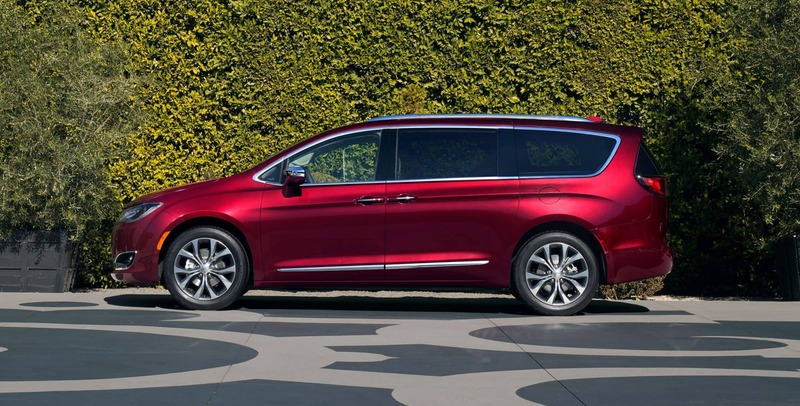 With all these big changes, the Pacifica has been given the award of Minivan of the Year! If you would like to learn more about what the Pacifica has to offer in 2018, then read on! 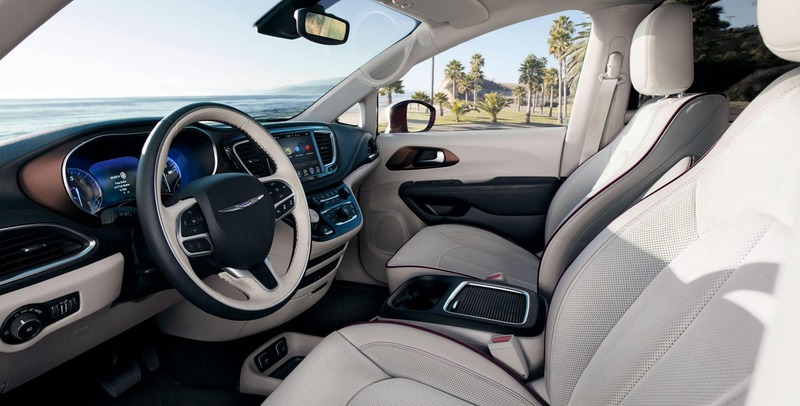 Under the hood of the 2018 Chrysler Pacifica, is a 287 horsepower 3.6-liter V6 engine with 262 lb-ft of torque. 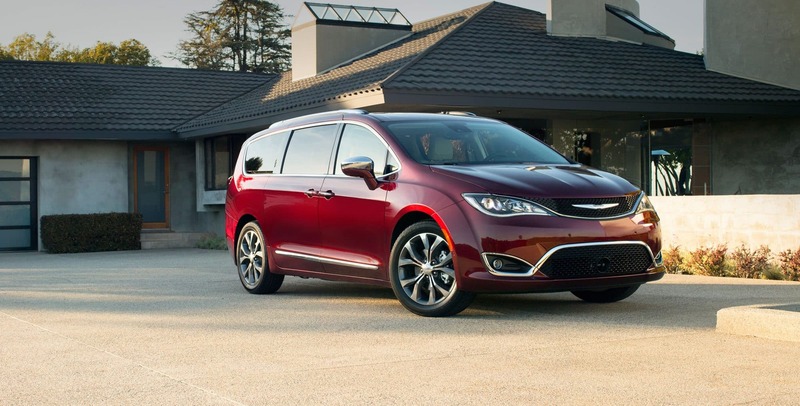 The Pacifica is titled as the most powerful minivan on the market. 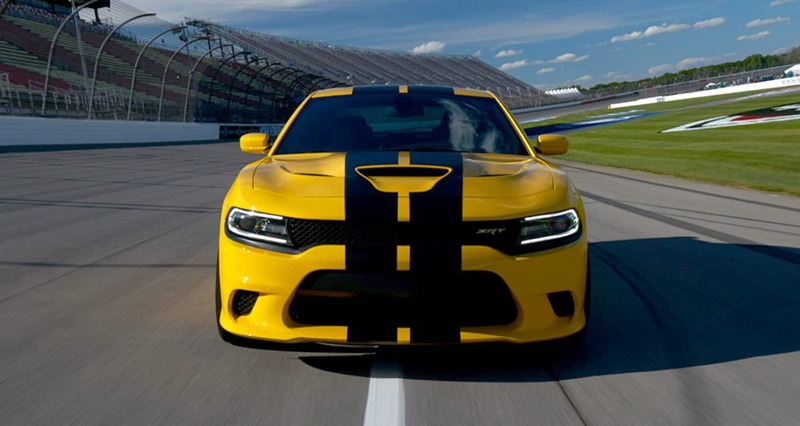 The engine is matched to a nine-speed automatic transmission. This engine also gives out an amazing fuel economy with an average of 28 miles per gallon on regular and a total of 84 MPGe with the hybrid version with its dual electric motors and 16kWh battery. The battery attached to the Pacifica is capable of traveling up to 33 miles on its own. 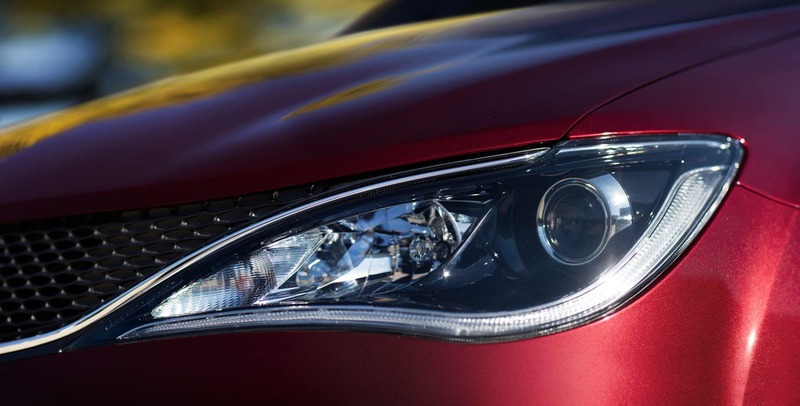 What are the different trim levels? 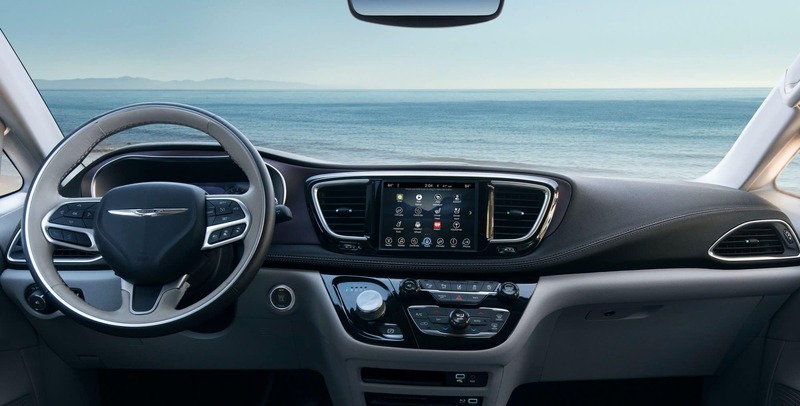 The base trim of the Pacifica is called the L and it comes with features like a 7-inch touchscreen, a USB port, heated mirrors, dual-zone climate control, and keyless entry. The LX trim is next with features like alloy wheels, a tri-zone automatic temperature control, and a driver information display. The Plus trim comes third with features like remote engine start, power sliding rear doors, LED taillights, automatic headlights, and automatic climate control. 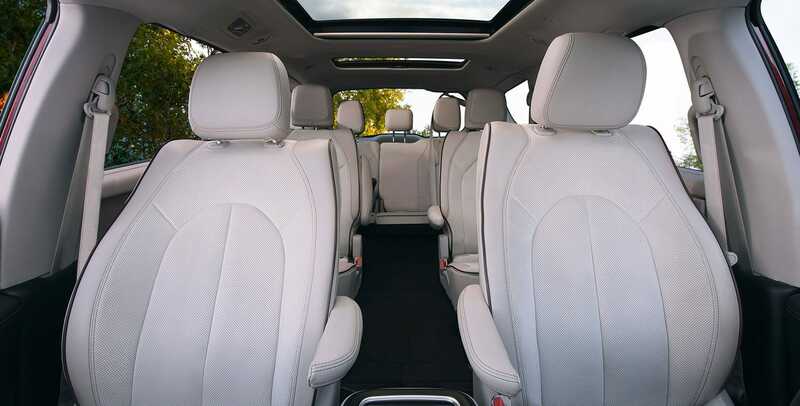 The Touring L trim is next with heated front seats, a second-row USB port, and leather upholstery. The Touring L trim also comes with the option of the Alpine Sound package or an Advanced SafetyTec package. The Touring L Plus trim then offers a heated steering wheel, an 8.4-inch touchscreen, a navigation system, two sunroofs, and a heated second-row. Finally, the Limited trim comes with top-notch features like LED foglights, an in-vehicle vacuum, hands-free sliding doors, xenon headlights, ventilated front seats, power-folding mirrors, and a hands-free liftgate. How focused on safety is the 2018 Pacifica? 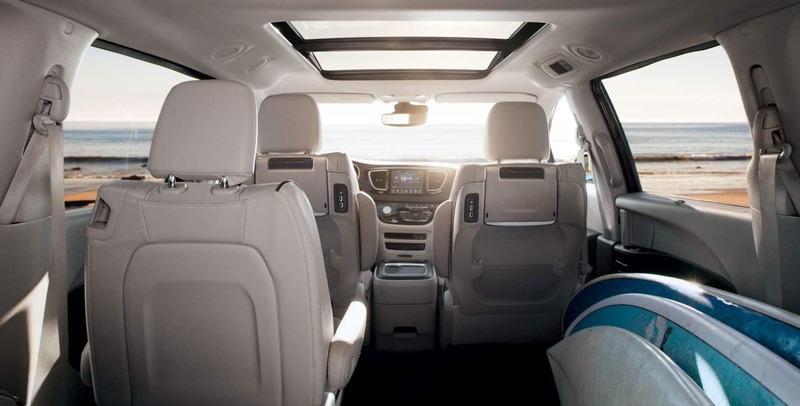 As a minivan, the Pacifica's main focus is on families. 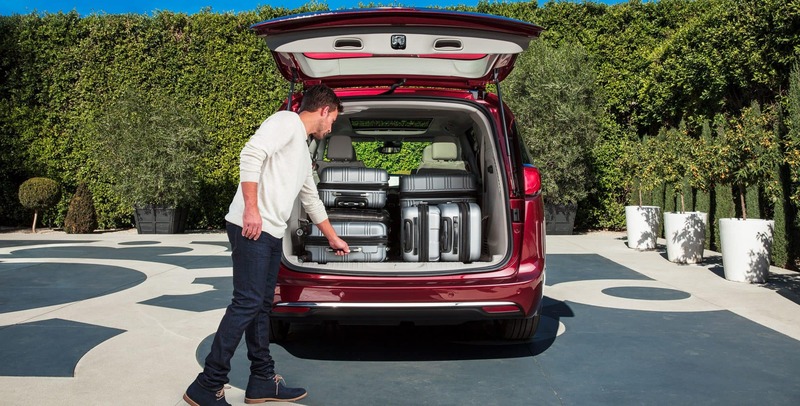 So with families in mind, the 2018 Pacifica has vastly improved its safety and security features. Some of the 100 plus features available in 2018 would include forward collision warning, rear cross traffic alert, a KeySense teen driver system, parksense parallel and perpendicular parking assist, adaptive cruise control with stop and go, a 360-surround view camera, blind spot monitoring, front and rear parking sensors, and a rear cross traffic alert. Most of the features come standard at every trim level, but a few may be found on the upper-level trims and within packages that best suit the trims needs. If you have been searching the market for a new family-friendly vehicle, then you have found it! Ask us any questions by giving us a call, filling out the form below, or even stopping by and saying hi.